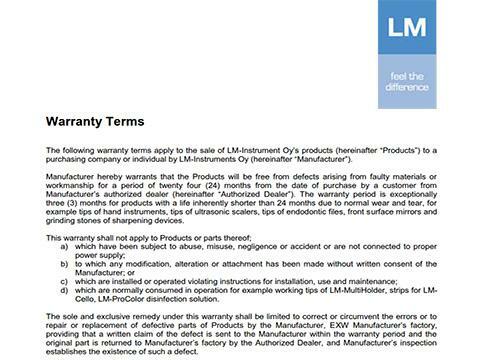 In order to serve our customers in different after sales cases as efficient and quick as possible, it is essential that you follow the LM product return policy specified below. 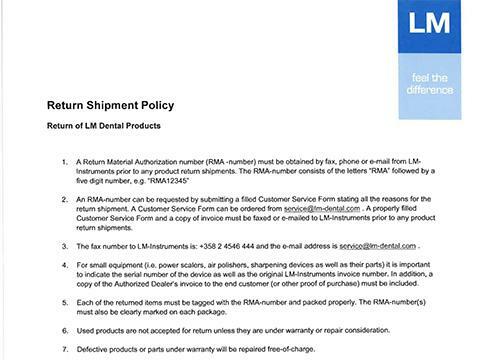 The return policy applies to all the products manufactured by LM Group, including dental hand instruments & supporting products, orthodontic appliances and ultrasonic and air polishing devices. NB. 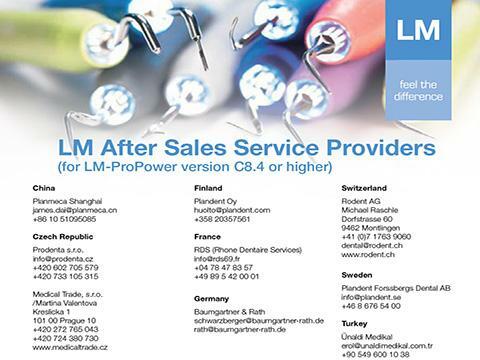 If you are an end user and you are not satisfied with your LM product, please turn to your dental depot first. They will be happy to help you with your questions and with the possible return. Fill in the Customer Service Form prior to any product return shipment. The Customer Service Form can be downloaded here. 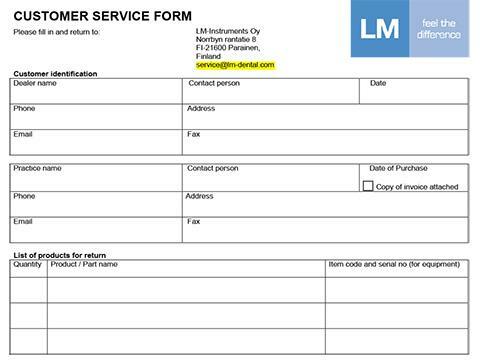 Send the Customer Service Form to service@lm-dental.com. Please attach also a copy of invoice to determine the warranty. You find warranty terms here. In return you will get a Return Merchandise Authorization Number (RMA). Mark this number on the package and on the shipment documents. Unauthorized shipments will be returned to the sender at sender’s expense. Due to the contamination risk, please note that all the instruments and other products have to be autoclaved/sterilized/disinfected before shipping (statutory). Please sign the Customer Service Form (electronic signature is not valid) and send it with the returned items. We will respond to you with full report of our investigations within three (3) weeks after receiving the product(s). 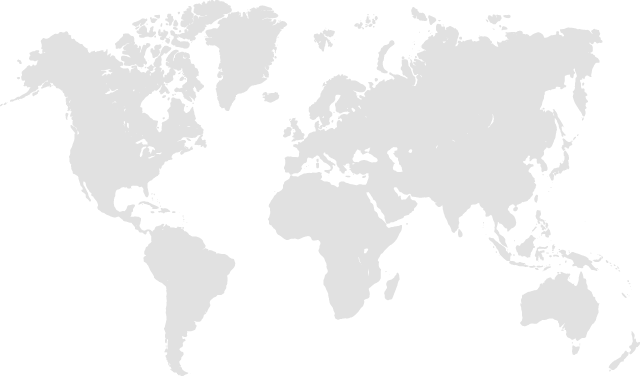 Before contacting LM-Instruments Oy, check here if there is a certified LM service partner in your country for more efficient and quicker service.